Over/Under: Over 155.5 at 1.87 Bet Now! CSKA Moscow rolls into Greece safe in the knowledge that a win in this game ends the series and allows them to advance on to the Final Four in Madrid. With a 2-0 lead and a strong showing in both games, there will be no shortage of confidence from the imperious Russian side who have been in tremendous form for the vast majority of the campaign. Game 1 saw them win 93-66 and then Game 2 saw them win 100-80. A 27 point victory and then a 20 point victory indicates that there is a big chasm between these two teams, and it wouldn’t be a shock of CSKA Moscow were to take care of things on Monday night. Of course, with a home crowd and the pressure of knowing that this is the final chance to make a stand in the series, there will be a strong incentive for Panathinaikos to do something in this game. That is easier said than done though and even top players like Dimitris Diamantidis noticeably struggled up against strong opponents such as Milos Teodosic. 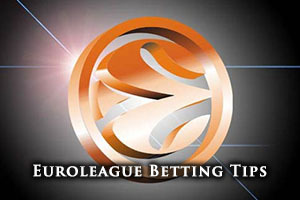 It is not as though CSKA Moscow are unbeatable, but they will need to have an off night while the Greeks will need to be at their very best in order to stand a chance of remaining in the Euroleague. It could be a tough night in Greece on Monday but you get the feeling that both teams will be going all out to grab the win. Panathainikos are currently sitting on a 12-14 record, which includes a 5-5 record in the regular season, a 7-7 record in the Top 16 and a 0-2 record so far in the Playoffs. As for CSKA Moscow, they much have a more formidable 24-2 record which includes a 10-0 record in the regular season and a 12-2 record in the Top 16. At the moment, their 2-0 record in the Playoffs sees them standing on the brink of glory but they need a final push to make sure that they are in the Final Four. 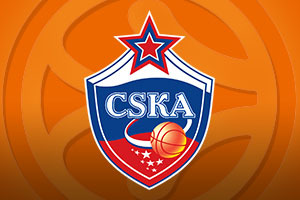 With respect to average points scored, CSKA Moscow leads 88.5 to 75.5. CSKA have been absent from the Russian league since the 11th of April but they still remain at the top of the table and they look a very strong best to continue their dominance on the home front as well. Panathinaikos haven’t played a domestic game since the 20th of March and they are currently sitting in second place in the Greek league, so even if they do get knocked out at this stage of the Euroleague, they will have plenty to play for when they return to focus on domestic matters. They may be the away team but CSKA Moscow are still the big favourites for Bwin in this game. You can find a Money Line bet for CSKA Moscow with odds of 1.36 while the odds for a home win are 3.30. If you want a handicap bet on the big game, you will find Panathinaikos with a handicap of +6.5 with odds of 1.87 and CSKA Moscow with a handicap of -6.5 at odds of 1.87, and you can see why backing the away team with the handicap isn’t a bad idea. If you are looking to take advantage of the Over/Under market, look to go OVER 155.5 with odds of 1.87. It could be a cagey game but there is more likelihood of CSKA opening up a gap and then the game really opening up as both teams pile on the points. Bet Now!